Find out about our organization, mission and passion for Traditional Thai Massage. Our treatment facility includes the latest in spa design inspired from Thai Resort Spas to create an environment of Zen relaxation, tranquility and serenity. Share the gift of health & rejuvenation with a Champaka Thai Massage & Spa gift card. FAMILY MEMBERSHIP - It's easy! Regular therapeutic services is one of the healthiest things you can do for yourself. At Champaka Thai Massage & Spa, our Family Membership Program is easy and affordable. For just one low price each month, you or family & friends enjoy your choice of a One Hour Massage. Enjoy additional services throughout the month at our low member rates. There are elements in Thai Massage to accommodate every kind of person and every degree of intensity. In the hands of an expert practitioner a session can be gentle or strong, faster or slower, challenging or relaxing, intense or trance-inducing. If you've never had a Thai Massage, you may be wondering what to expect on your first visit to Champaka Thai Massage & Spa. During your first visit you'll experience relaxation and comfort, dedicated to your well being and peace of mind. We want your spa experience to be a memorable one. Discover the natural & holistic approach to health and well-being. Traditional Thai Medicine (TTM) was developed over a thousand years ago. Influenced by ancient Indian Ayurveda and Chinese practices, it includes proper nutrition, physical exercise, medicinal herbs and therapeutic massage. Traditional Thai Massage, or Nuad Phaen Boran, is based on pressure points along energy (sen) lines of the body which power physical, mental and emotional processes. Energy imbalances can disrupt the body’s harmony causing pain and disease. Our practitioners massage along energy (sen) lines and use Thai medicinal herbs to break energy blockage, stimulate circulation and restore health & well-being. 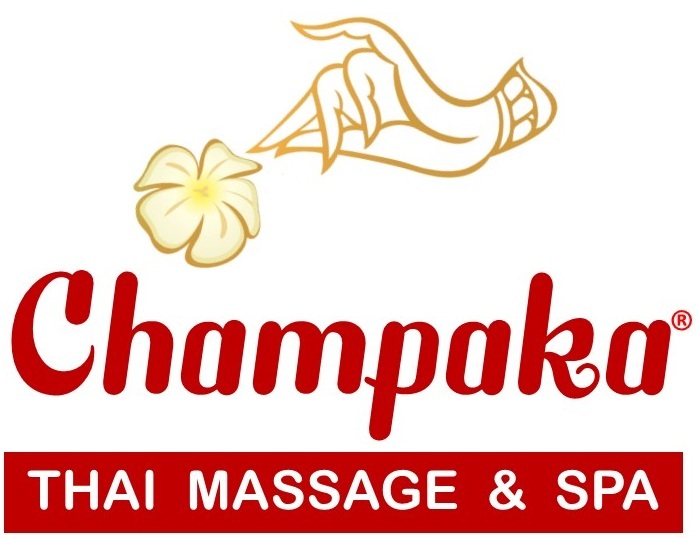 *** FOR IMMEDIATE RELEASE*** Champaka Thai Massage & Spa has been awarded Best Spa in Northern Virginia from Northern Virginia Magazine in 2019. We would like to thank all of our wonderful clients for voting for us 2 years in a row. - - Sincere Kob Khun Ka!